The hot hot hot piri piri chillies are stuffed into these big green olives and they are not for the faint hearted. 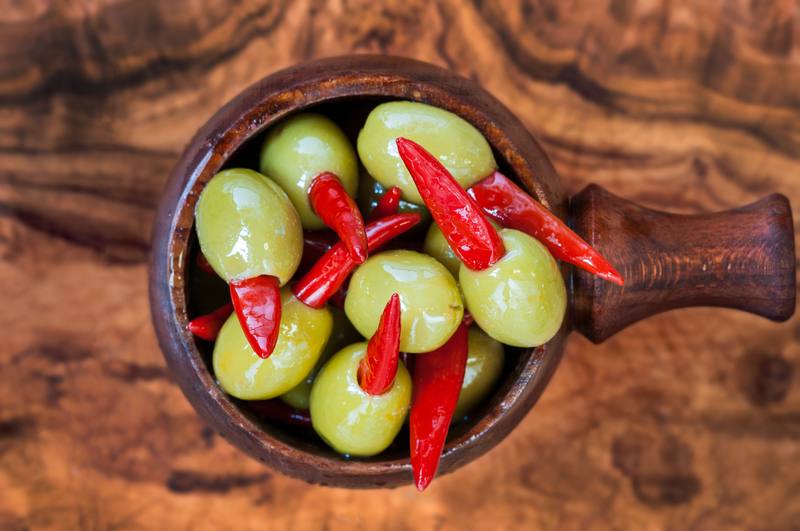 These olives are very spicy but if you are a big chilli fan then they are perfect for you. We like to use these in cooking as well as for eating by themselves....one way to spice up your dinner!